Traditional pantomimes and festive family favourites are on offer over Christmas at many West Midland theatres but Birmingham's New Alexandra is serving up a much grittier affair. 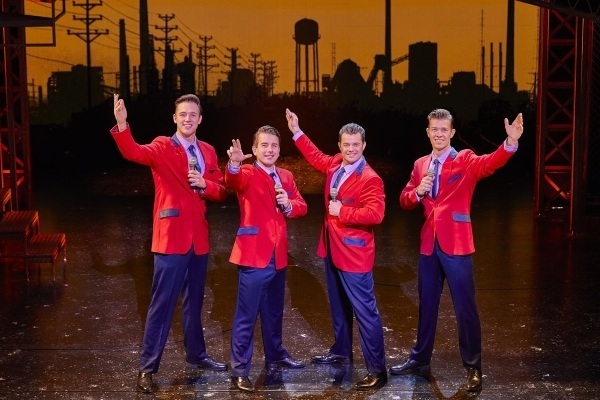 The award-winning Jersey Boys tells the story of sixties pop sensations Frankie Valli & The Four Seasons. While the music is joyful, the tale itself is often dark. We see the group encounter The Mob, gambling debts, family tragedies, marital infidelity and the inevitable band break-up. A quick internet search reveals that there were also other calamities that befell the group members that didn't make it to the stage! 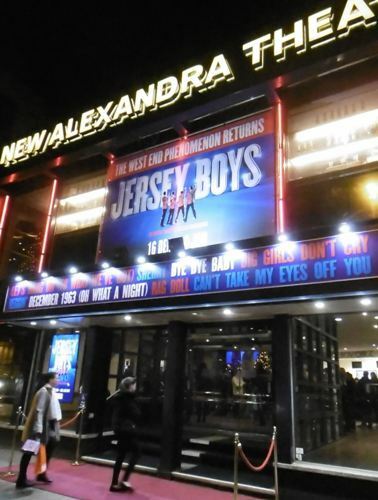 With the f-word used throughout, Jersey Boys may not seem to be the natural choice for a Christmas night out but the shade is lightened by wonderful songs, fantastic acting and brilliant singing. This is not a jukebox musical, however. The writers, Marshall Brickman and Rick Elice, aimed for ''a play about four guys who wrote music'' and that's exactly what they've achieved. It's also quite a complex affair because the production examines the Four Seasons' story from the perspective of each group member – and as each narrates a segment, it's clear that the same events are remembered differently. While the audience await 'the hits' the scene is set among the clubs and bars of New Jersey. Guitarist Tommy DeVito (Simon Bailey) and bassist Nick Massi (Lewis Griffiths) are getting a band together, with various members coming and going. It's only when singer Frankie Castelluccio, aka Frankie Valli, (Michael Watson), with ''a voice like an angel'', is recruited that things start looking up. 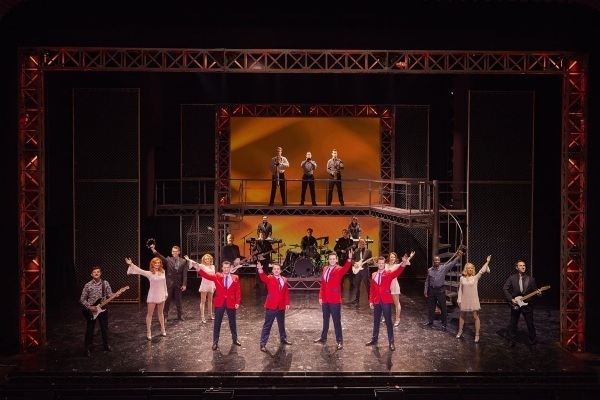 And when keyboardist and songwriter Bob Gaudio (Declan Egan) joins, the group – and the production – moves into top gear. Sherry, Big Girls Don't Cry and Walk Like A Man – their first three American number ones – elicit whoops of delight from the packed theatre. Later, there are show-stopping versions of Can't Take My Eyes Off You, Rag Doll and Who Loves You?. We even hear Bye Bye Baby, best known in the UK as a hit for the Bay City Rollers but written by Gaudio and lyricist Bob Crewe. During the two hour, 40 minutes there are numerous scene changes but each is completed with polished precision, without slowing down any of the narrative. Michael Watson is sensational as Frankie Valli. His falsetto is faultless. 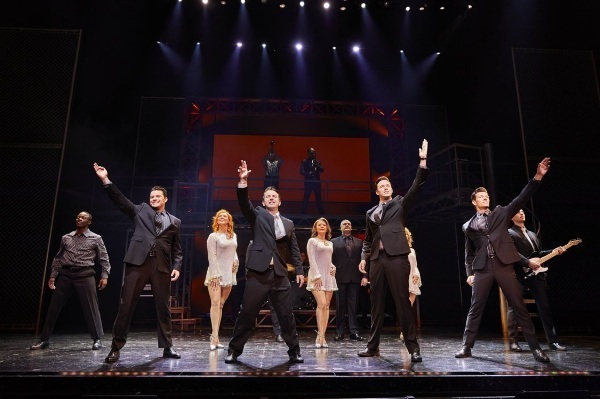 Lewis Griffiths as Nick Massi provides much of the humour, while Declan Egan's Bob Gaudio looks suitably uncomfortable in the spotlight – the real Gaudio quit performing to concentrate on producing. For me, it's Simon Bailey as Tommy DeVito who steals the show, possibly because Tommy is the most interesting character. He works to establish The Four Seasons, then almost destroys it with his gambling addiction. Simon is a founder member of Teatro, the musical theatre band signed to Simon Cowell's label, and his singing and acting is first class. At the age of 83, Frankie Valli is still performing and in 2018 will tour the UK, playing seven dates, including Birmingham's Genting Arena on December 1. Mar 19 - 30: Southampton Mayflower. When: Until January 6, 2018, at Birmingham's New Alexandra Theatre, Birmingham. Touring nationwide till March 2019.